Boro's Greatest Detective may nolonger be available to buy on Amazon, but it is still picking up some excellent reviews. 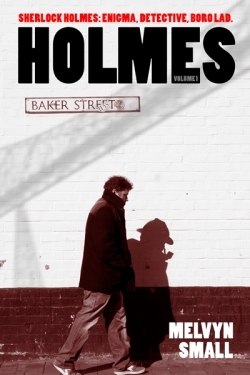 Many thanks for this excellent review of Holmes Volume 1 by Claire Knight, star guest reviewer at CrimeBookJunkie. I have never read a Sherlock Holmes book….ever. So reading Melvyn Small’s light-hearted take on the classic mystery novels was like a brief introduction but I know deep down it wasn’t the real thing. He not only brought Mr Holmes and Dr Watson in to the modern age but he’s transported them from the bright lights of London to his native Teeside and in particularly Middlesbrough. I, like many, am familiar with some of the investigations Holmes and Watson faced through the BBC adaption “Sherlock” which I do love. I don’t think this was a detriment to my reading experience but my image of the stories playing out had the cast of Sherlock as the characters in the story. It was quite amusing trying to imagine Benedict Cumberbatch doing a north eastern accent which I did give up on in the end. The author did an great job of adapting the Victorian and Edwardian stories into the modern day surroundings, turning Mr Holmes into the criminal he probably would be given his methods of detection (mainly computer hacking). I found the author’s writing style really easy to read – I whizzed through it over a few evenings. 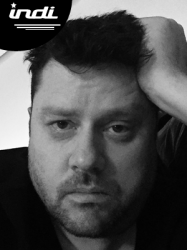 The book is a set of six individual short stories but there is an overriding story arc running through the whole book.. And don’t expect a nice wrapped up happy ending – the author is naughty in that respect and left one whopper of a cliff hanger – I’ll be hunting out Volume 2 for that conclusion. If you fancy a light-hearted entertaining read featuring possibly the world’s most famous detective but not quite as you know him, you can’t go far wrong with Melvyn Small’s Holmes Volume 1. Many thanks to the author and Crimebookjunkie for my copy of Holmes Volume 1.